Reducing vehicle interior noise is one of the main challenges automotive engineers face because acoustic comfort directly impacts sales and customer loyalty. While great progress has been made to reduce road and tire noise, wind noise remains a major concern for vehicles travelling at high speeds and for electric vehicles. 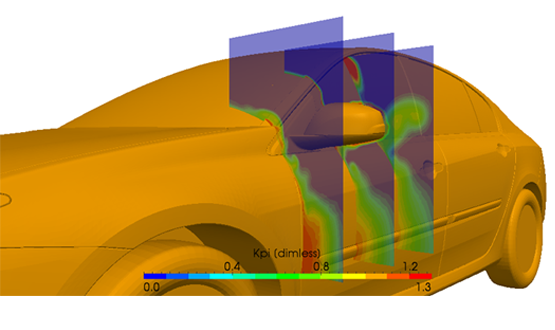 This case study shows how ProLB is used by major car manufacturers to minimize aerodynamically-generated noise sources.